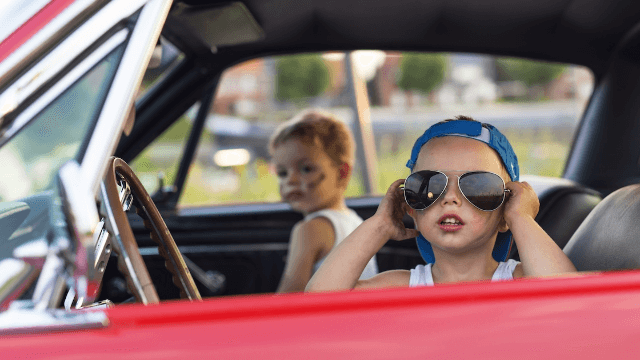 8-year-old learns to drive from YouTube, goes on adorable joy ride. Kids nowadays are growing up in an era where they can learn almost anything they want via the internet. (There are tutorials for everything! Even poop emoji hair!) Take for example this 8-year-old boy in Ohio who used YouTube tutorials to teach himself to drive, and then went to McDonald's. According to local news station Fox 8, the 8-year-old boy and his 4-year-old sister started getting some cheeseburger cravings Sunday night around eight o'clock. Their dad had gone to bed early after a long day of work, and their mom was sitting on the couch with the kids when she fell asleep. With their parents asleep, the kids decided to begin their quest to McDonald's. Officer Jacob Koehler told Fox 8 that the 8-year-old drove his sister about a mile from their home, going through four intersections and crossing railroad tracks. His journey also required a few right hand turns and a left hand turn. Amazingly, witnesses say he was obeying all traffic laws and driving the speed limit. When they arrived at the McDonald's, a family friend who happened to be eating there notified the children's grandparents. Don't worry, the kids got to eat their cheeseburgers before the police got there. When police arrived, the 8-year-old told them he had learned to drive by watching YouTube videos.